Cranbrook Bowls Club is a warm friendly club established since 1921 and we'd love to meet new members or visitors. We play in the Weald League and Maidstone Friday League, plus we have just under 60 friendly fixtures throughout the season. Or, if competitive bowls isn't for you there is always someone at the club house looking for a "roll-up". 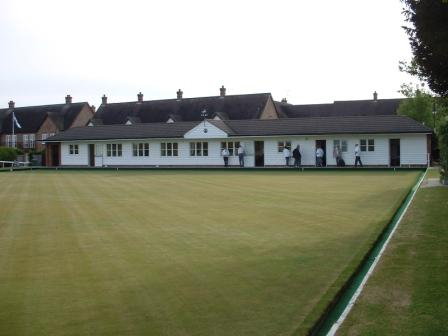 Cranbrook Bowls Club is affiliated to Bowls England, K.C.B.A., and K.C.W.B.A. Registered C.A.S.C, 04953 with H.M.R.C. The bowls season will be under way here in Cranbrook on Saturday20th April and we will be looking forward to some great games. Cranbrook is a wonderful community, deep in the heart of the Weald. Club night is on Thursday's so if you fancy joining us for a "Roll up" feel free to either get in touch or simply turn up any time between 5pm and 8pm where you will be made most welcome. A full list of club fixtures for 2019 are attached, covering Friendly, Weald League, Maidstone Friday League and Both Open Tournaments. Please see Fixtures Section. We have a range of club events taking place throughout the year including "Open" competitions. Please do get in touch with us if you wish to take part.